Dell'Orto's Mill is certified for the cultivation of PDO Olives. Dell'Orto PDO Extra Virgin Oils are first cold press, all natural, unadulterated, great tasting, sold only in dark bottles or tins, always labeled with “harvest year” and “best if used by date” for freshness. The 2018/2019 harvest date has an acidity of 0.18 and a best if used by date of 31 Dec 2019”. The oil has a color ranging from green to straw yellow, a very fruity scent with rich green tones and hints of freshly cut grass. Dell’Orto is ideal for sautéing, as well as a dressing for vegetables, salads, pasta, soups, and dipping bread. The certification for PDO extra virgin olive oil is obtained from a unique single selection of olives (Carpellese). The Italian Agricultural Ministry, in accordance with European Community regulations, guarantees and certifies the quality of the oils carrying its PDO seal. This seal denotes that the oil is made from olives that are typical of the region where the oil is derived from and that all the requirements of climate, soil, and variety of olives have met their high standards. 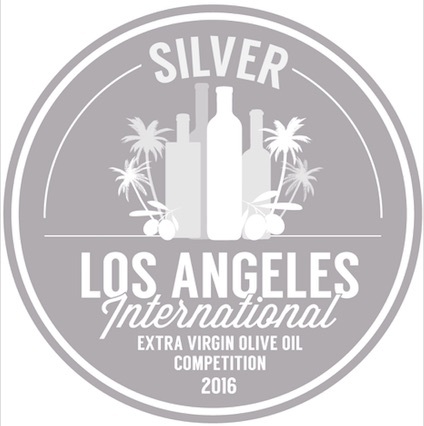 Certification for Dell'Orto PDO Extra Virgin Olive Oil is posted on our web page. Best olive oil that i have ever tasted! I by no means a connoisseur of delicious olive oils, but even I could tell that this Dell’Orto olive oils is something special. I discovered it through a good friend of mine from our high school days at Bay View, Marilynn Conquegrande. We crossed paths again a few years ago on Facebook and have been in touch ever since as we both now live in Florida. She mentioned your product and that you are cousins, and I though, as I trust her opinion on all foods Italian, I would give it a try. Absolutely fantastic! I will be back for more for myself and to give as gifts. Thank you for providing such a delicious product . I will recommend to all of my friends!